Burgers are definitely a summer classic, and while there are a ton of options to buy pre-made I can’t think of anything better than a homemade burger fired up on the grill. They really aren’t that hard to make either! Ready for the best homemade burger recipe? 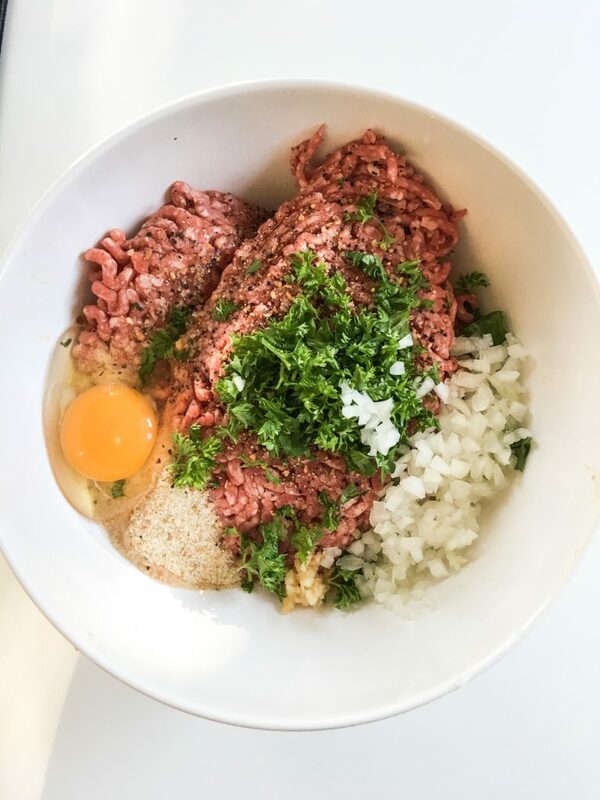 Combine all beef patty ingredients into a bowl and mix with your hands until everything is evenly blended. Yes it’s a little messy but it gets the job done. Depending on how thick or thin you like your burgers split the mixture into equal parts (I made 6 from this batch). Shape the burgers one at a time first by rolling 1/6 of the mixture into a ball then flatten it out between your hands. 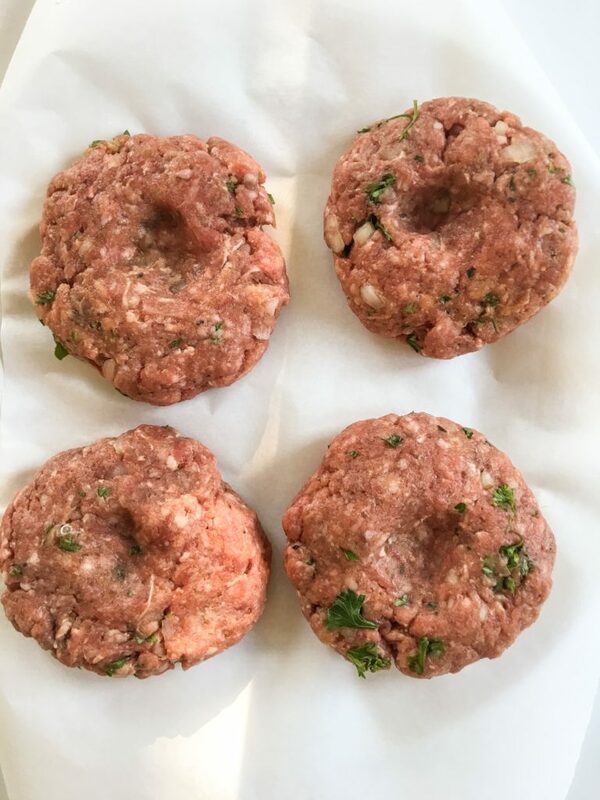 Lay it flat on a tray and press your thumb into the center of the burger (shown below). Do this to prevent your burgers from puffing up in the middle while grilling. I usually like to let the patties sit for 20-30 minutes in the fridge before grilling them. This gives you time to prepare the toppings. 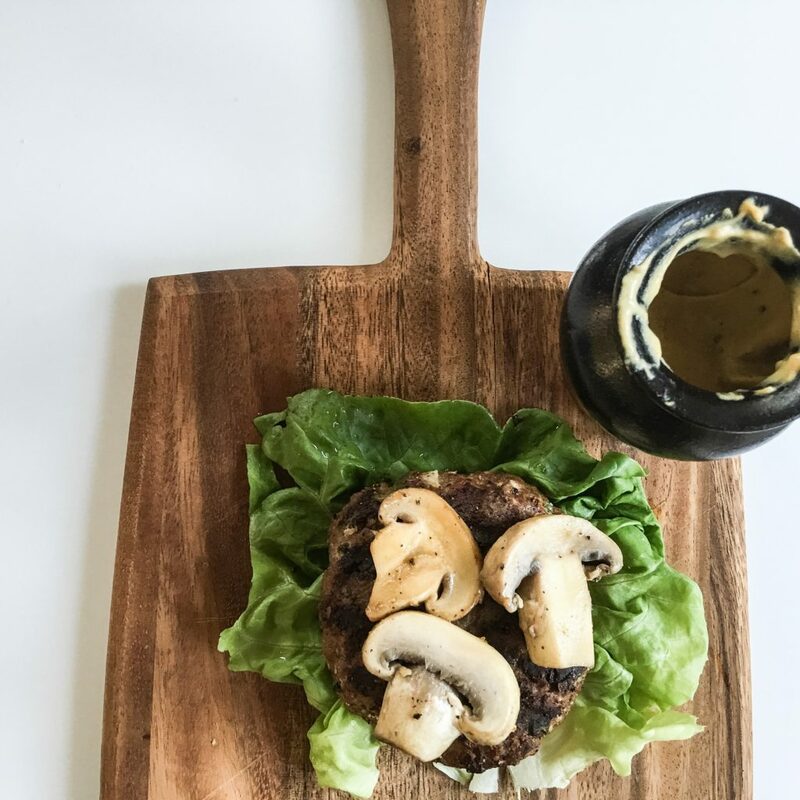 For this recipe, I chose to top them mushrooms and Maille’s truffle mustard + served on a ‘lettuce bun’ – hey when the burger is this tasty, you don’t need a bun! For the mushrooms, heat up a pan on the stove add mushrooms, butter, worcestershire, salt and pepper. Fry for 7-8 minutes, – mushrooms don’t take long to cook. Stir the mixture while cooking to make sure the mushrooms are evenly coated. After your patties have set its time to get grilling. Turn on your BBQ on high heat. You want it to be piping hot when you put the meat on. Turn it down to medium heat right before putting the burgers on. They will take about 3-4 minutes per side (add extra time if you like your meat more well done). 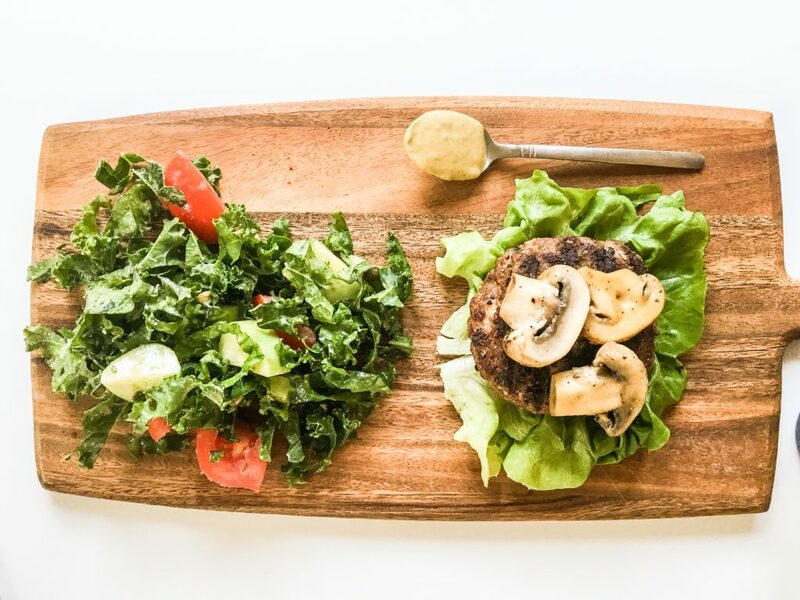 To serve place on lettuce or bun, top with mustard and mushroom mixture and DIG IN!